On March 15, two despicable terrorist attacks shook Christchurch, New Zealand, fueled solely by hate and intolerance for people who simply sought to exercise their basic right to practice their religion. Fifty people lost their lives. Last weekend, in a mission to help the community heal, rugby returned to the South Island. The New Zealand Warriors, the only non-Australian team to compete in the National Rugby League, ordinarily play their games in Auckland, the largest city in New Zealand. This past weekend’s match against the Manly Warringah Sea Eagles had been scheduled to be played in Christchurch for some time. It is not uncommon for the Warriors to play one or two games a year elsewhere in the nation, but it has been a while since a game was contested within New Zealand’s “Garden City.” If there was ever a time that Christchurch needed something to bring the community together, even for a seemingly trivial cause like a sporting event, this was it. 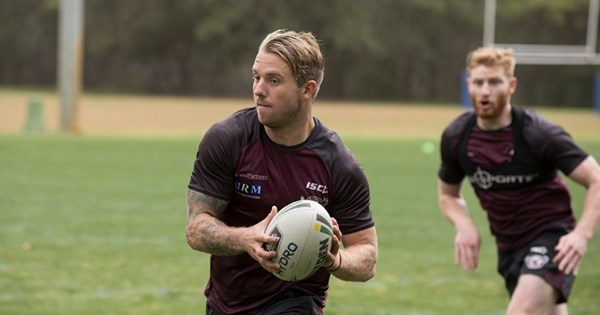 The Sea Eagles, who travelled to Christchurch from their home ground on the Northern Beaches of Sydney, visited one of the mosques affected by the horrific attacks during the week leading up to the game. Led by New Zealand native Martin Taupau and club captain Daly Cherry-Evans, the Manly team presented a wreath of flowers in order to pay their respects to the innocent individuals that had their lives taken far too soon. In another effort undertaken throughout the week to bring some light to a broken city, the Sea Eagles spent some time with local youth rugby players in Christchurch. The work that the Sea Eagles did to help the community in Christchurch echoed the message of the hashtag emblazoned on the jerseys of the Sea Eagles and Warriors for the match last Saturday: #TheyAreUs. A reference to the words of Prime Minister Jacinda Ardern of New Zealand, the campaign calls upon New Zealand and the world as a whole to come closer together as a community in an effort to stop hatred and bigotry. As Americans, it can seem hard to feel connected to a community that is so far removed from our own. However, with the increasing globalization of the world, now is the time to become more educated, tolerant and connected to the people around us. There is not room for prejudice today, tomorrow or ever.